We provide a beautiful garden wedding venue anytime of the year. The Atrium ... was beautiful and exactly what we wanted. I HIGHLY recommend the Atrium. The Atrium is a beautiful place to have a reception. 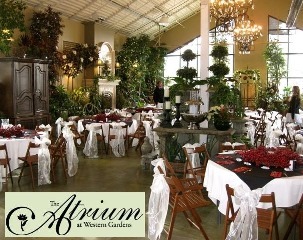 I attended two very pretty weddings at Atrium Weddings at Western Gardens. 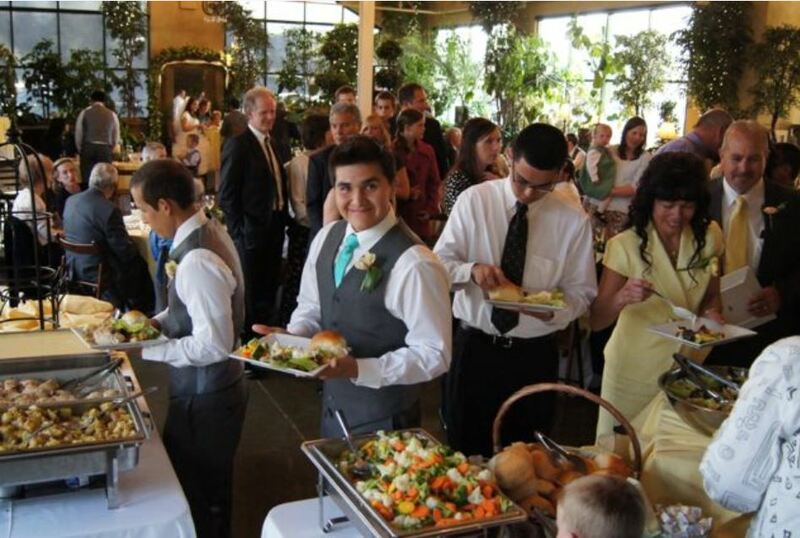 Get A FREE Brochure from "Atrium Weddings"
Enjoy delightful and stress-free celebrations at our Utah wedding venue and reception center – Atrium Weddings and Events in Sandy. We host all types of beautiful celebrations. 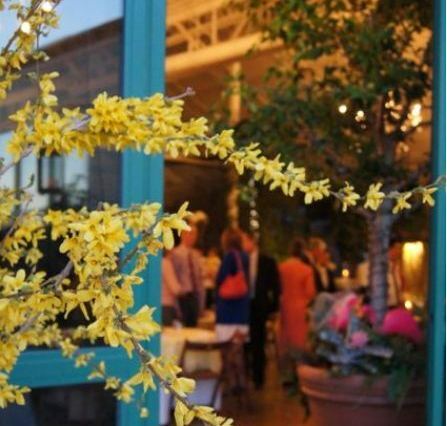 We welcome indoor and outdoor wedding ceremonies, receptions, luncheons and dinners, rehearsal dinners, and bridal showers. 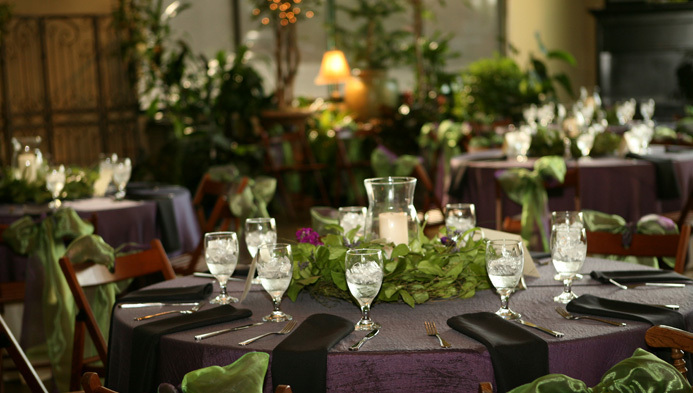 Atrium Weddings and Events patrons enjoy our Event Coordinator who simplifies the planning process and creates the perfect celebration package that fits every style and budget. We work with our highly recommended partners who offer exquisite catering, floral design, wedding cake, floral design, and stationery. However, if you choose, we are also a self-catering venue. You are not required to use any of our preferred partners, though most do. 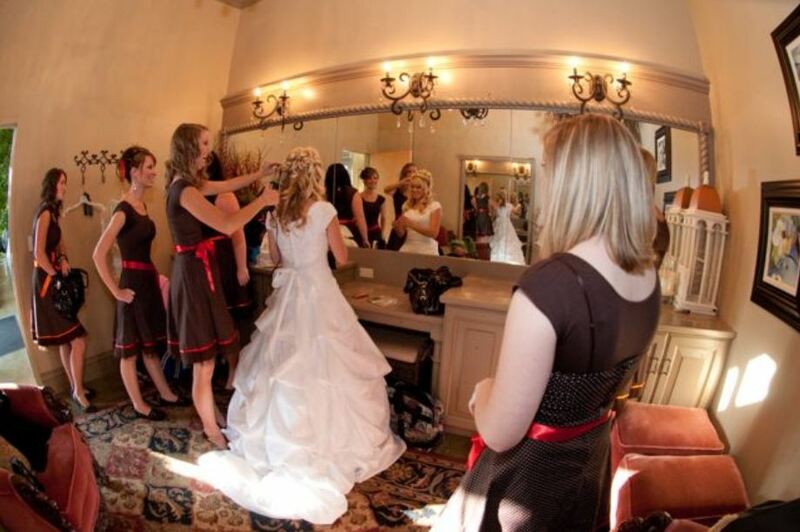 Your investment with Atrium Weddings and Events in Sandy is reasonable. Plus our brides and patrons love that the space is already beautiful and doesn’t need additional decorating. 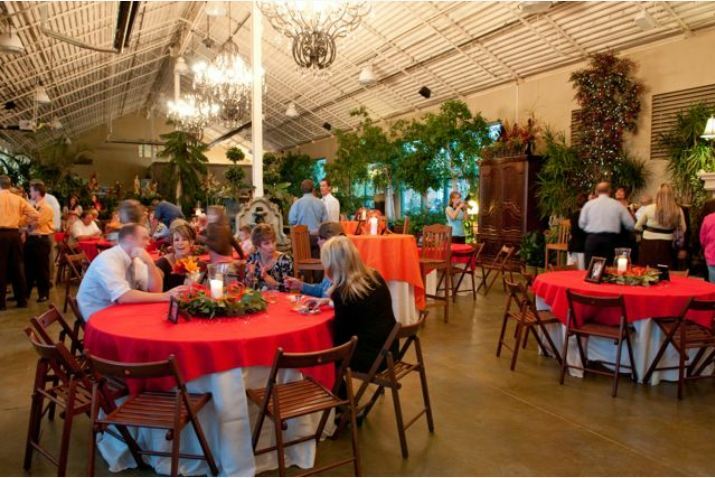 We would love to be your memorable and stress-free wedding venue or reception center for business and family gatherings. 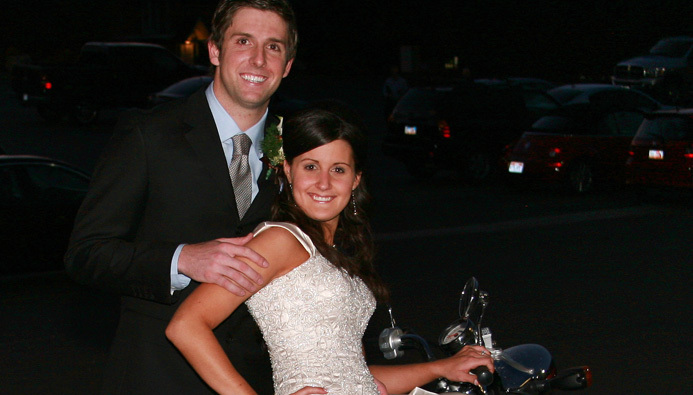 We look forward to helping make your wedding day perfect, just the way you’ve dreamed. 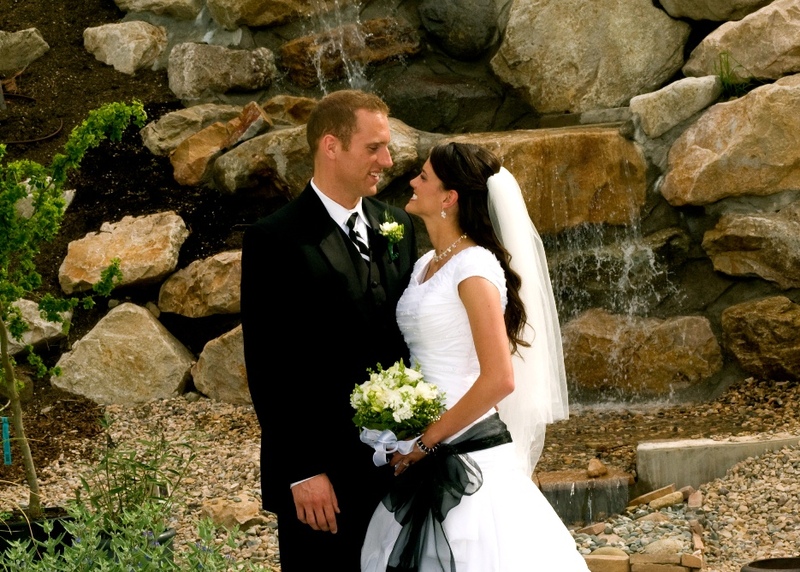 Please mention Salt Lake Bride when you contact the Atrium Weddings! I had my reception at the Atrium a little over a month ago. The setup was beautiful and exactly what we wanted. It was very romantic and professionally done. The staff did a fantastic job of keeping in contact and making sure everything was in order. They did a great job with decorating the way we asked, with the colors we wanted. The whole staff was friendly and helpful. 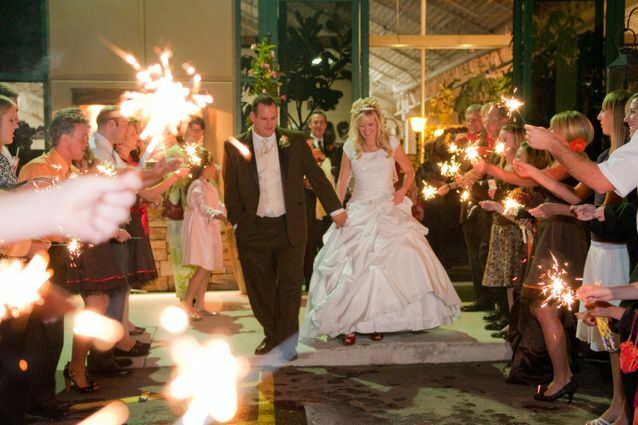 We loved the sparklers as the bride and groom left. Thanks for helping making this a special night for everyone. Everything at the Atrium was perfect for my wedding reception. It couldn't have been better. The venue was perfect, the staff was amazing to work with. I absolutely loved it. They helped make my day perfect. I attended two very pretty weddings here. I love love love how they have all the white lights on the plants and trees. It makes an evening wedding so gorgeous here and vey little additional decorating needed, if any! They also let us use a room in the back as an area for kids to relax and play. There was a couch and a TV to keep them occupied. The hosts were very nice and didn't intrude. They just kind of hovered around in case anyone needed something.